When we approve your teeth impressions, you will receive a link to the website where you order your desired custom teeth device. Our Partial Dentures start at ONLY $287. 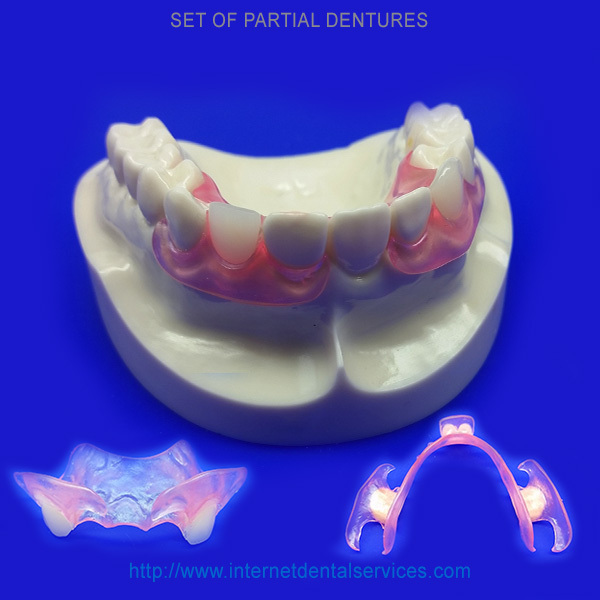 The Flexible Partial Denture is our best product that we offer to replace missing teeth. It not only fills the spaces where you are missing teeth but you can also eat with it in. The plastic material that the teeth are connected to is nearly unbreakable.